After catering to the NASA crowd with moondust brew and Deadheads with American Beauty ale, Dogfish Head is now appealing to spice lovers and sushi fans. As part of its ongoing Music Series, the Delaware brewery is bottling Rosabi, a wasabi-infused IPA they made with the help of musician Julianna Barwick. Rosabi will get a limited run of 1,000 cases of six 750ml bottles, each accompanied by a 10in record of original songs Barwick recorded using sounds from Dogfish Head's newly expanded brewhouse. (We hear the wort is particularly harmonious.) On top of wasabi, the beer's flavored with a pinch of Louisiana red rice, as well as Munich and Caramel malts. It tops out at 8% ABV, and would probably make for a hell of a sake bomb. Kristin Hunt is a food/drink staff writer for Thrillist. 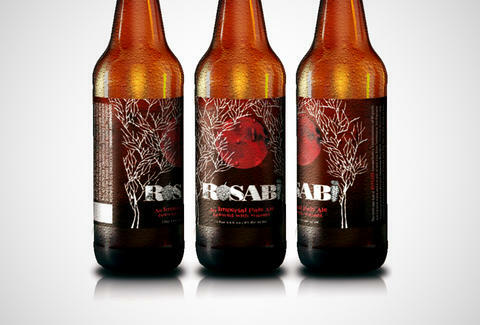 She hasn't tried Rosabi or that moon beer, but highly recommends American Beauty. Follow her at @kristin_hunt.